“Better to give than to receive, eh? Well, don’t worry. 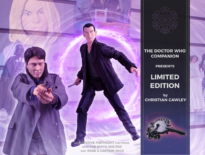 I thought we’d have a shopping trip!” The Doctor’s beaming smile indicated he thought this was a good idea. “Shopping!” said the Doctor as he unfurled his hat. 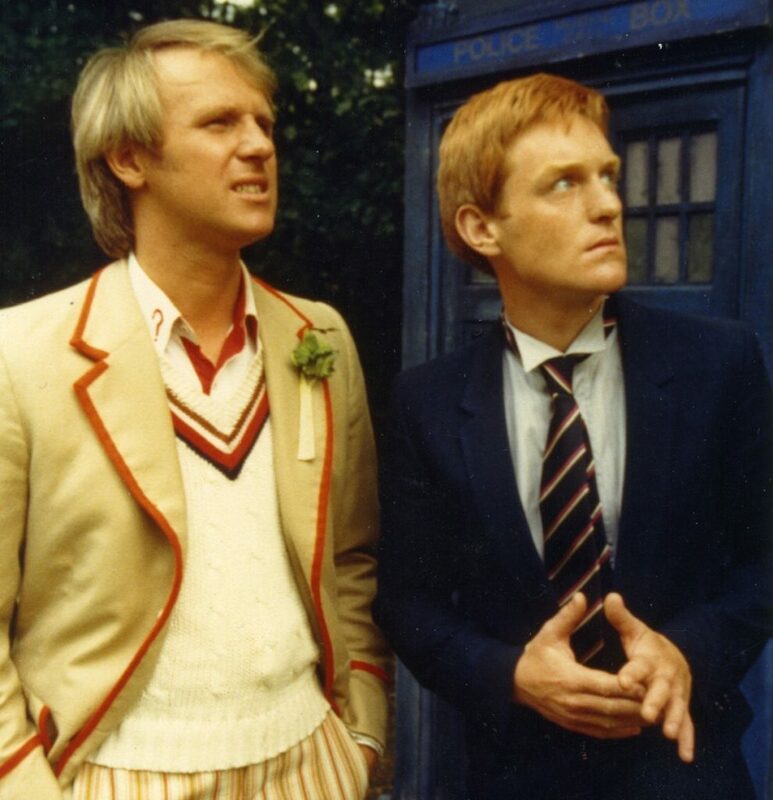 “1970s London, just a few years before we met.” Turlough had been travelling with the Doctor long enough for the absurdity of this statement to go unnoticed. 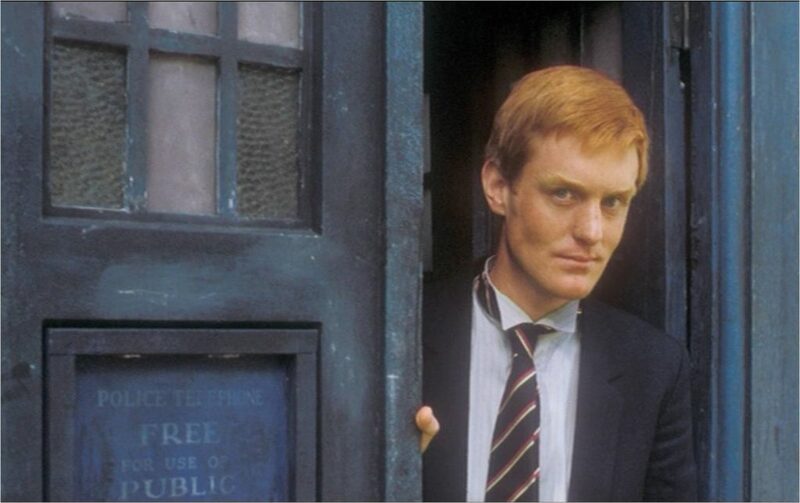 Concluding that sometimes it was best to just go along with his ideas, Turlough followed him out of the TARDIS. The police box stood incongruously on the floor of a brightly lit, very sparkly department store but the hordes of shoppers seemed not to notice it, so focused were they on securing their purchases. Turlough sensed he wasn’t going to enjoy the next couple of hours. Turlough fingered the TARDIS key hanging round his neck and pushed it inside his shirt. 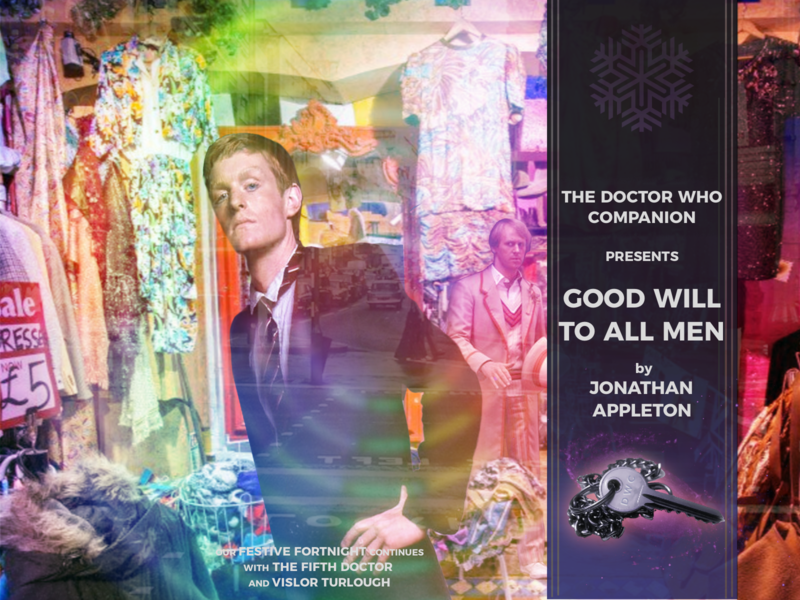 Reassured, the Doctor smiled and strolled off, humming along to the Christmas music blaring out over the sound system. Struggling to relate to the buzz of excitement on display all around him, Turlough wondered what he should buy for the Doctor. What’s a suitable gift for someone totally uninterested in owning possessions? His eyes wandered as he explored the aisles, doing his best to avoid colliding with people so over-laden with goods they couldn’t see where they were going. It was said that you could buy anything in the world in this store and the outrageousness of this boast was brought home to Turlough by the child-size electric car which stood gleaming on a dais in front of him. People passing by cooed at the alarming price tag as he smiled, remembering the occasion he had ‘borrowed’ the Brigadier’s classic car with disastrous consequences. A thought struck him and he felt a sudden rush of adrenaline. Reaching for the chain round his neck, Turlough turned and strode purposefully back to the TARDIS. Turlough’s fingers trembled slightly as he fumbled with the key. He scanned around nervously. He knew this was his chance for complete freedom; uninhibited, unconstrained, accountable to no one. He paused. The key was in the lock – he could feel the faint vibration of the ship and thought about all its potential. All of time and space. The war… His family. Then he thought about the Doctor. He sighed and removed the key from the lock. Realising the allotted hour would soon be up, Turlough headed for the sports department where he bought, rather unimaginatively he thought, a shiny red cricket ball. That would have to do. “Cheers Turlough! Merry Christmas!” The Doctor’s good spirits seemed undimmed by an afternoon’s shopping when they sat in the café later that day. Turlough had to admit that the garishly coloured drink the Doctor presented him with tasted good. He had so far avoided looking the Doctor in the eye but now couldn’t help but meet his gaze. “Good will to all men, eh? That’s what I say. Everyone deserves that,” said the Doctor, who seemed more reflective now. Turlough took another sip as he considered the Doctor’s meaning. Nothing in the Doctor’s expression gave anything away. That same naïve, enthusiasm. He decided to let it go. Some things are best left in the moment they occur. Like a moment of weakness. 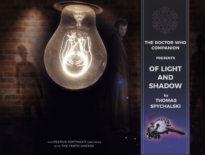 The Doctor glanced at Turlough over his cream soda. He thought he saw a momentary frown or a moment of uneasiness. He decided to let it go. Some things are best left in the moment they occur. Like when you watch from a distance as someone in whom you’ve placed your trust chooses not to betray you.